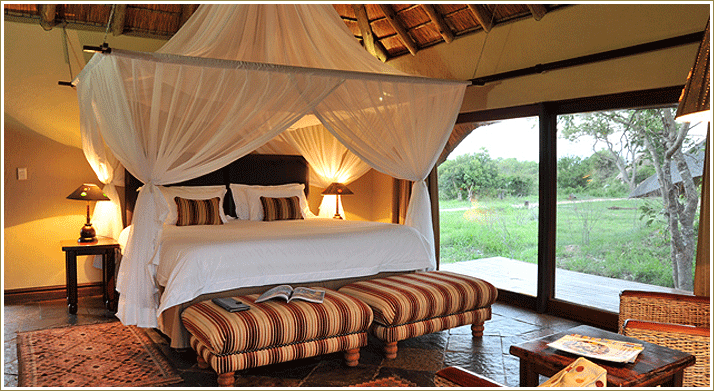 Royal Legend Safari Lodge & Spa is located along the banks of a seasonal river in the Timbavati Private Game Reserve, which forms part of the Greater Kruger National Park and is home to the Big 5 and a large variety of general game species, which ensures sightings of amazing African wildlife during safaris conducted by a Ranger and Tracker. 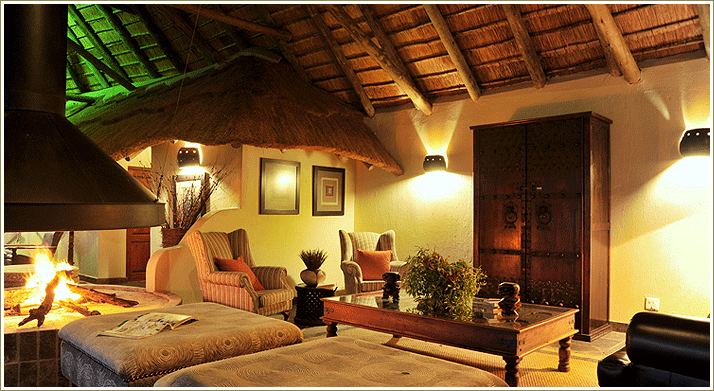 The lounge and dining areas of the main lodge area overlook the riverbed and a waterhole, lit at night with animal-friendly spotlights. A magnificent bar also gives an uninterrupted view of the waterhole while the elevated pool is partially hidden from the entertainment area, providing privacy and easy access to the bar. A superb wine cellar holding the best of South Africa's world-renowned wines is found down a spiral staircase that winds down a carved Leadwood log. A large picture window gives the opportunity to sip wine while studying activity at the waterhole. 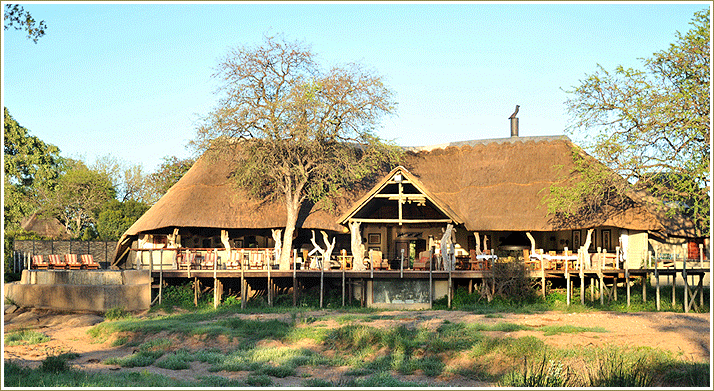 Meals can be taken under the thatched roof, out on the raised teak deck, or in the boma at night. The emphasis is on South African cuisine, but special dietary requirements can be catered for. The ten luxurious chalets all command a magnificent view of the watercourse and it's surrounding lush vegetation. Each chalet is individually decorated and has its own private deck area, where guests can relax with a book from the lodge's small but select library, or simply bask in the sun, keeping an eye open for the shy creatures that inhabit the river banks. All the chalets have air conditioning. The windows have protective mosquito gauze and large mosquito nets over the beds. The rooms have a bar fried, safe and telephone facilities and internet connectivity. All rooms have a spacious en suite bathroom, with spa baths and double washbasins. 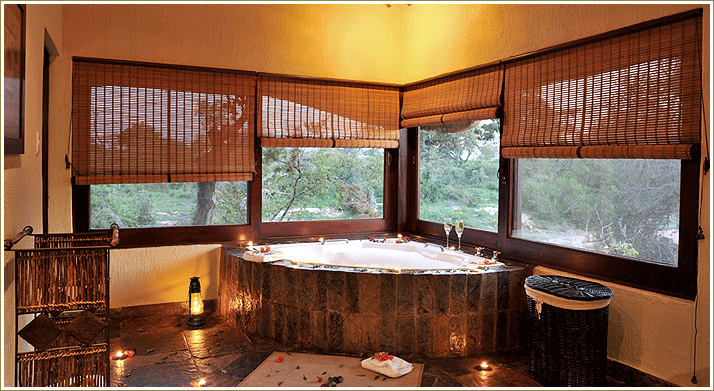 A large shower enclosure leads outdoors into a private outdoor shower with a view of the river bed. The Lodge caters for families and is child friendly. The enthusiastic staff will ensure children are kept entertained with walks designed to cater for younger people, and child minders are on hand if parents wish to go on a game drive alone. Other child-friendly activities include bow and ketty making, teaching of traditional games, bush tracking (6 years and older) and a special Spa programme. All of these activities take place after breakfast and each child will receive a certificate upon completion. The staff is dedicated to providing attentive service ensuring that each guests expectations are met. The Royal Legend Spa is the perfect place to relax and unwind. It offers sensual massages, manicures, pedicures and facials for the ultimate in pampering and indulgence.